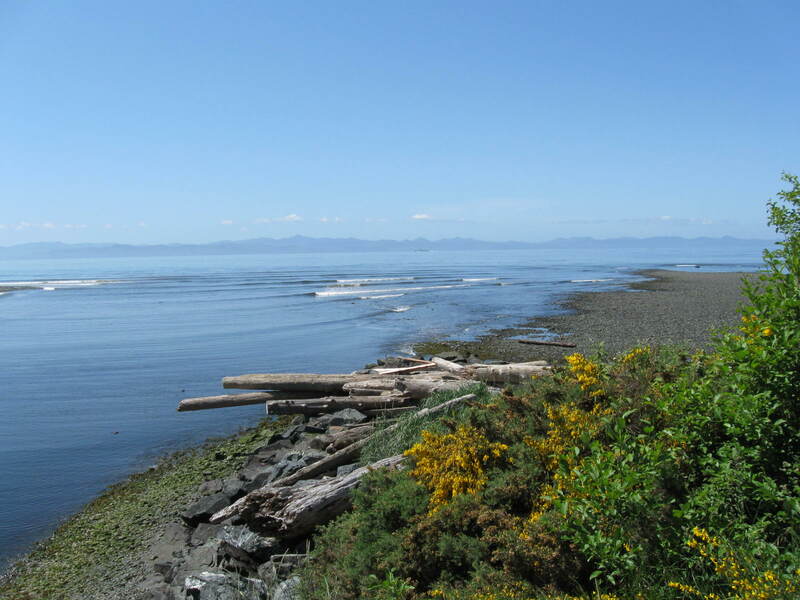 I’ve lived on Vancouver Island for over 30 years and always wanted to ride this route since I got back to bike riding/touring in the mid nineties; I just never found the time – too many other venues! 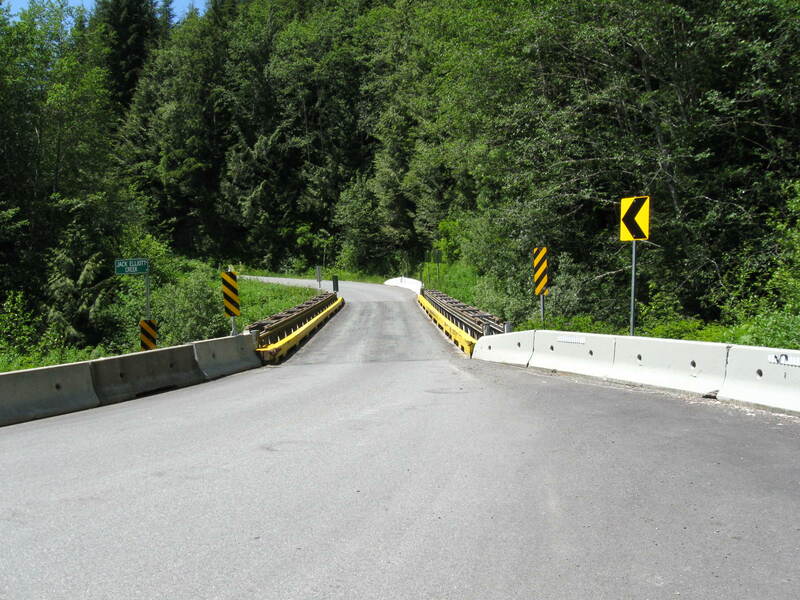 In realty though, for many years this route was not possible due to bridge damage and any possible repairs took a backseat to more “important ” road repairs. 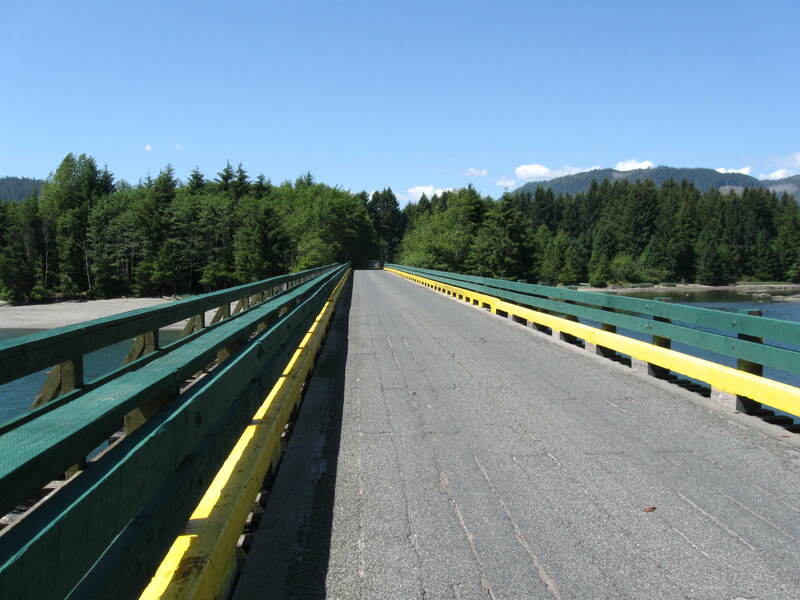 I don’t know the complete history of the road from Port Renfrew to Lake Cowichan, but one can assume that the route was claimed from a series of gravel logging roads that would eventually become the paved route that it is today. 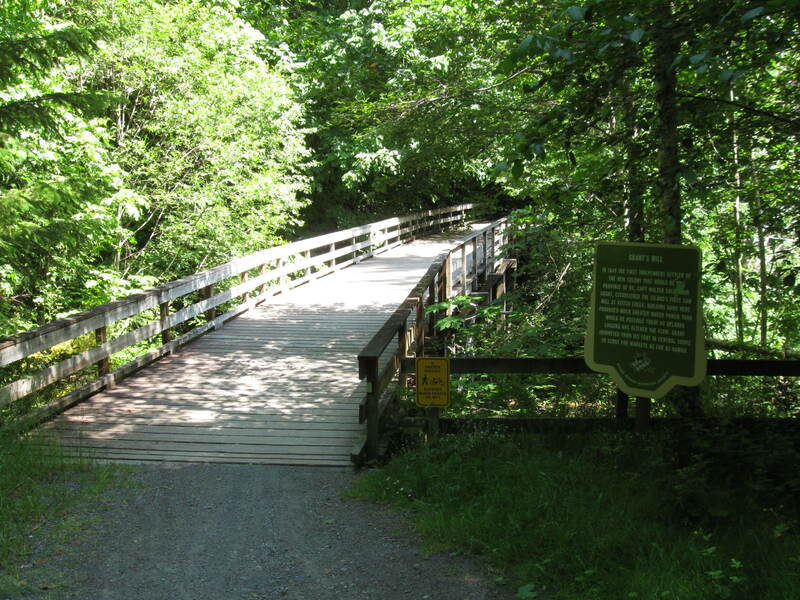 So in truth, other than riding on damaged pavement, gravel logging roads (which I don’t particularly care for) and negotiating damaged bridges, this route was not completely possible on pavement until a few years ago. 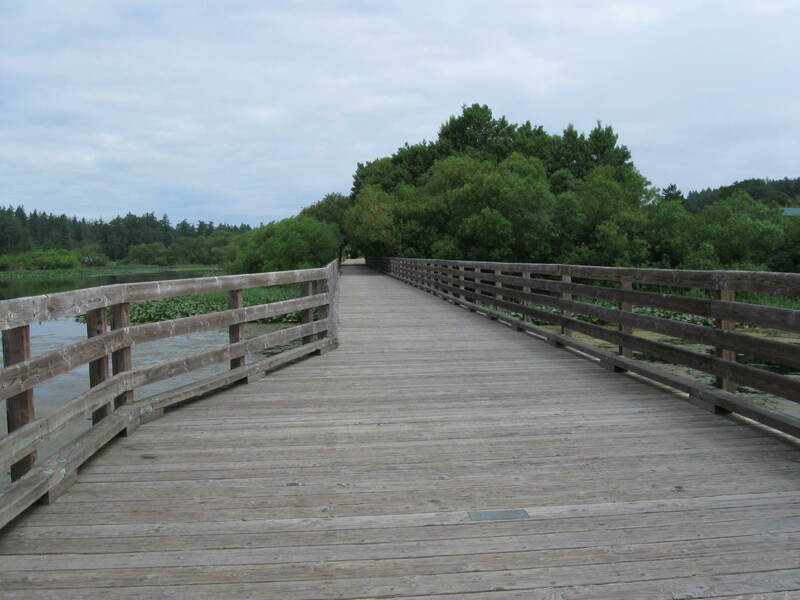 Almost 70 km today – the usual ride on the Lochside Trail to the Switch Bridge and then transfer to the Galloping Goose for the ride out west to Sooke. 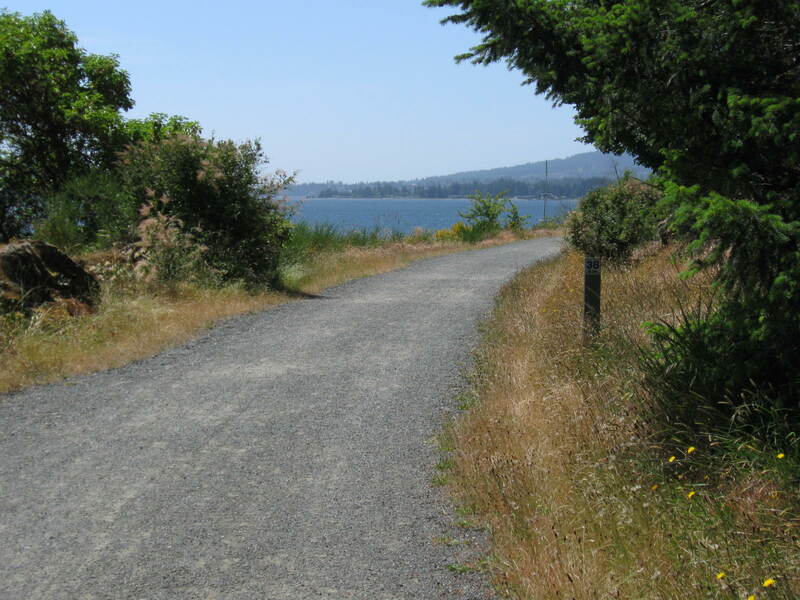 I’ve ridden a lot of these two trails in pieces over the years, but today was the first time for the whole distance from Sidney to Sooke. Quite easy riding for most of the way, but different to road riding as you have to keep pedalling on the trail with very little freewheeling. 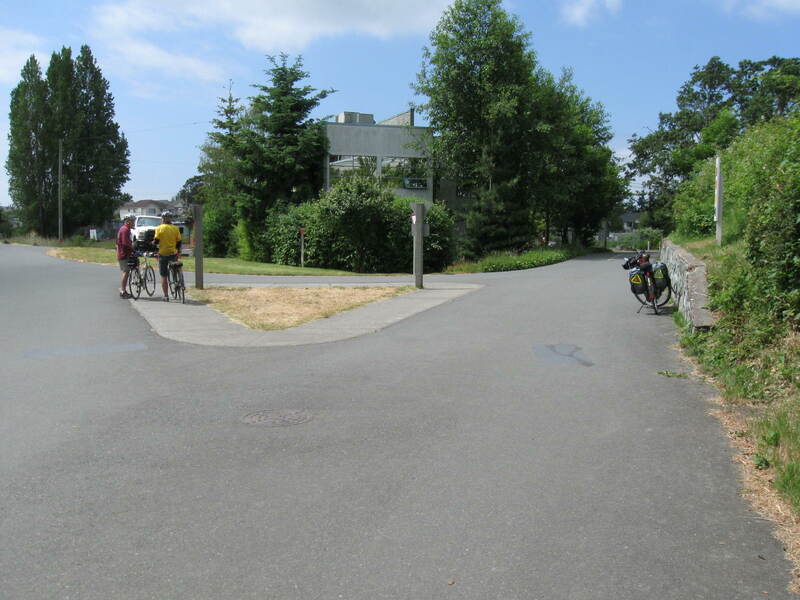 I met up with my friend Steve M in Colwood who was out on one of his many rides with a couple of his riding buddies – nice to meet up with a familiar face! After chatting I noticed quite a few food opportunities so I stopped at Tim Horton’s for a nice lunch before continuing. From Colwood all the way through Langford and Metchosin sections was pretty well standard trail riding and not very exciting riding with mostly trees for company while keeping a sharp eye out for any Cougars (the four-legged kind!). 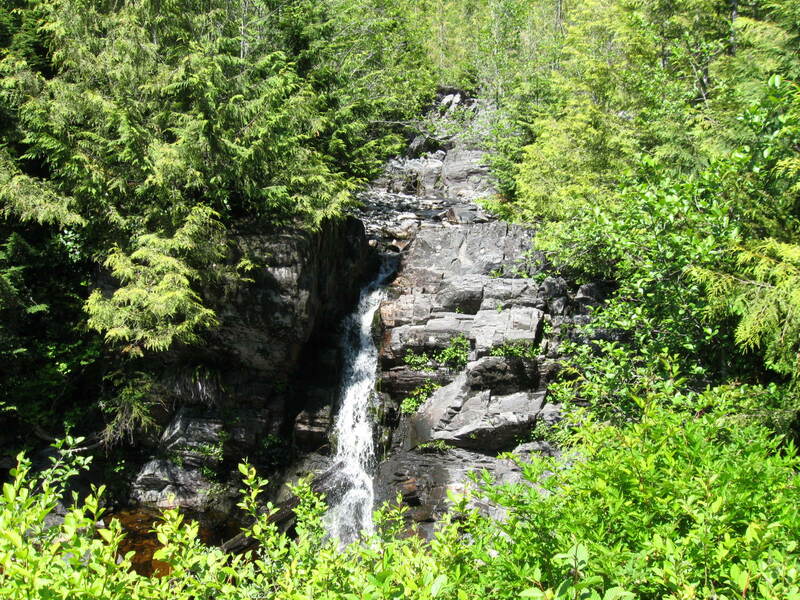 There were some nice glimpses of Matheson Lake out in Metchosin, and then when almost in Sooke the ocean began appearing – very scenic section, but a couple of wicked little hills to deal with over some creeks where the original high trestles were replaced with lower elevation trestles. 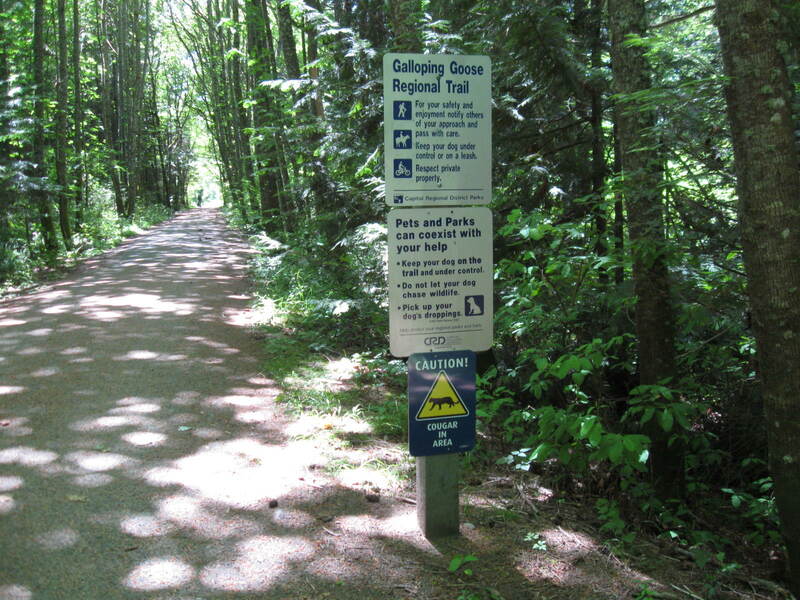 I exited the trail at Woodland Road in Sooke, picked up some supplies for the evening and headed to the local campground located on the Sooke River. 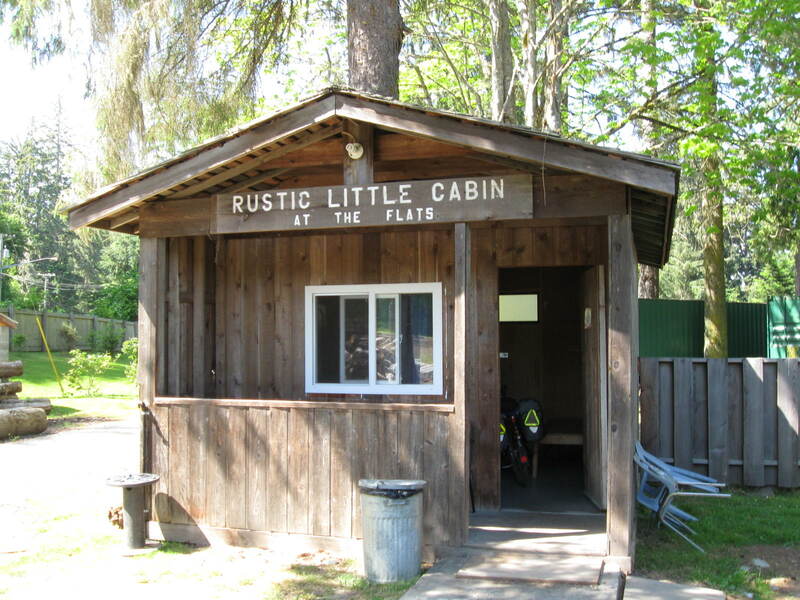 I’ve got a rustic cabin at Sooke River Campground and it’s well worth not tenting for the night for the meagre fee of $40. Very basic, but nice and cozy in a quiet campground at this time of the year. More tomorrow… Adam K & (trail dusty) Basil. 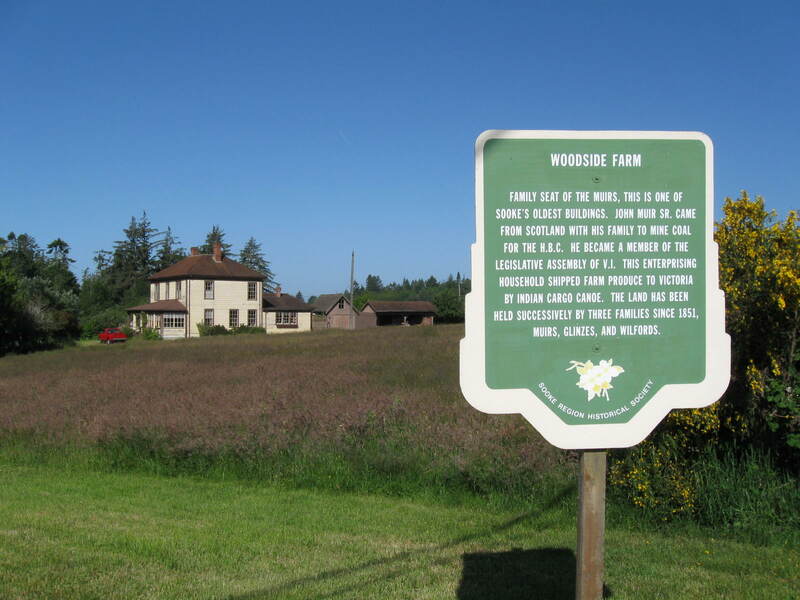 After a good breakfast I headed out and took a photo of Woodside Farm 3 km out of Sooke and picked a nail! So the day started with a puncture repair – bummer! Just a tad shy of 80 km today though along some very hilly roads that make up the West Coast Road – however it is a very scenic route and many rest and photo stops were necessary today. Hills of memory were the Shirley, and Loss Creek ones, but I’ve probably forgotten a few more now anyway! 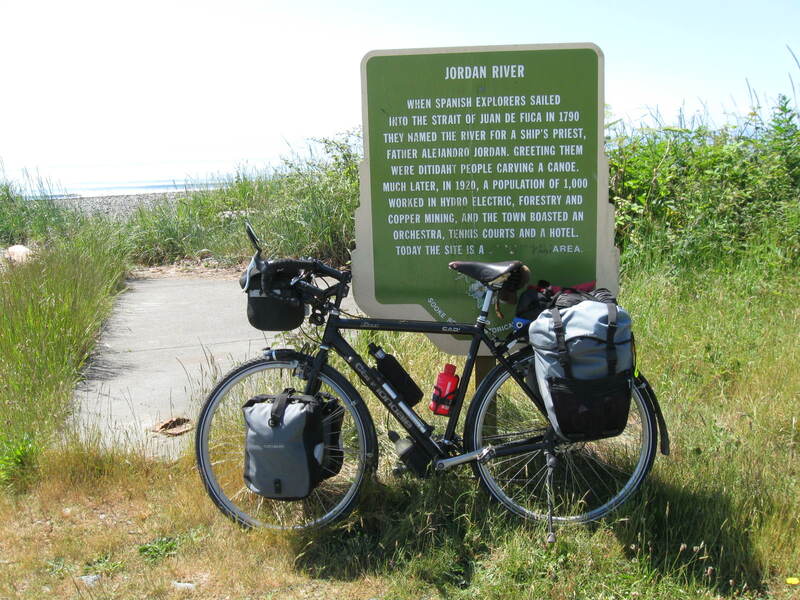 I had a nice stop at Jordan River for a rest and snack before tackling a long grade out of Jordan River. 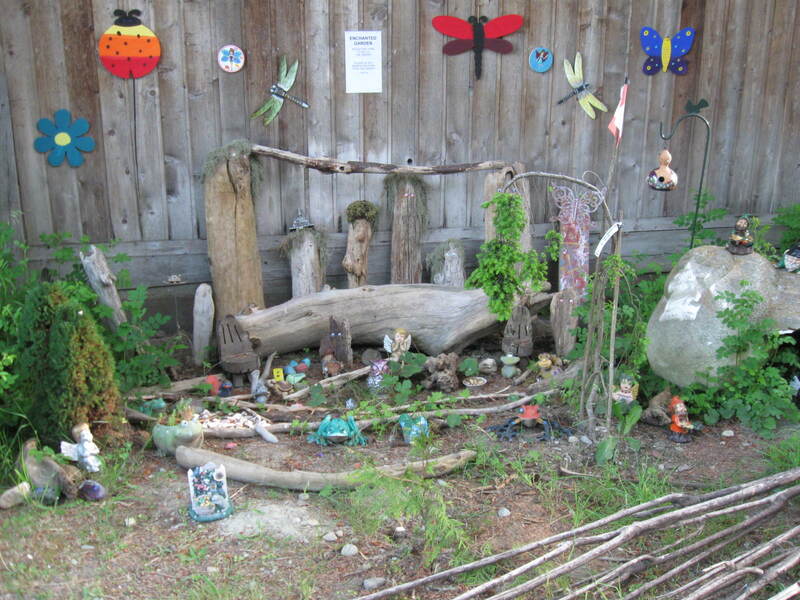 Not much commerce at Jordan River – a small RV and tenting campground and a store that was closed! Farther along the route I was really glad that the highways department had made some big changes to the grades and switchbacks that used to be at Sombrio River – there’s a new highway grade road now, together with a new bridge which is much higher than the old one but requires less work to reach, just a steady climb now without the knee-knackering grades of before. I don’t know when this happened as it’s probably 20 years since I was out this far on the west coast – and then in vehicle not a bicycle. Logging trucks a plenty to deal with too – although after Jordan River (there’s a log dump there now) I didn’t see any on the road – in fact, very quiet roads for the most part. 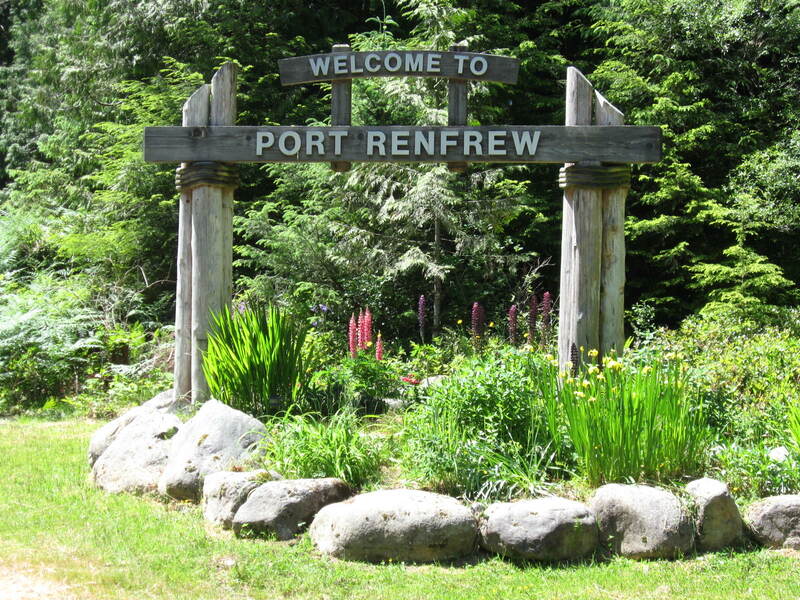 On arrival at Port Renfrew, I picked up a few groceries before taking the turn north on Deering Road and the campground on Pacheedaht First Nations land. Many Hikers of the famous West Coast Trail camp (and park vehicles) here as this is basically the trailhead of the hike. 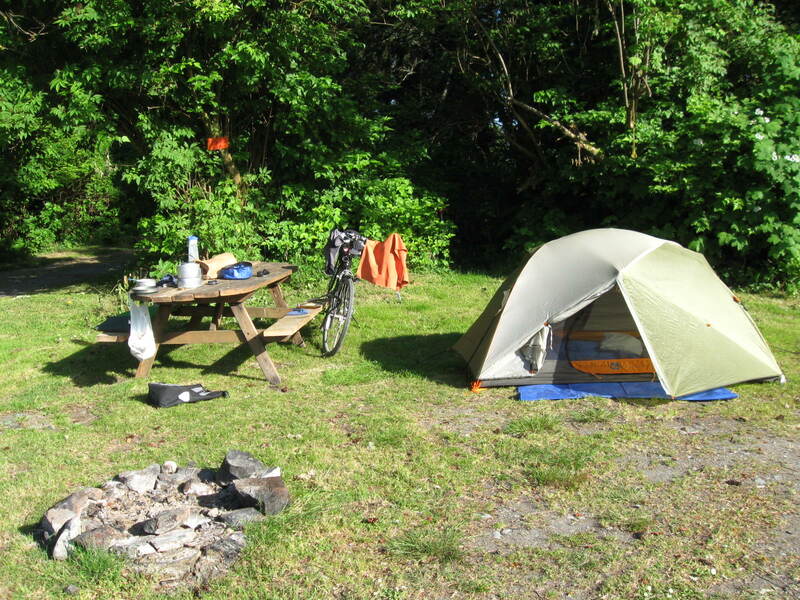 Fairly basic camping at a scenic oceanfront location. More tomorrow, Adam and (sick of helping on hills) Basil.